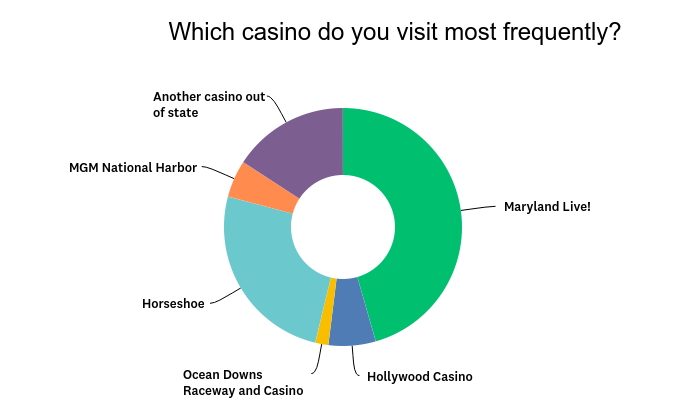 With casinos popping up all over Maryland, we decided to see how Marylanders felt about them. Depending on your luck, you can leave the casino with a little extra cash in your pocket. These high-risk stakes bring lots of people and money to their tables. Whether you are going to place some bets, attend an event, hang out at the bar or dine at one of the many restaurants, casinos seem to have options for everyone. We surveyed over 1,200 Marylanders and here are their feelings. The majority of people either went a few times per year, 48%, or not at all 37%. Looks like Maryland is an all or nothing type of state. A high percentage of Marylanders gravitate towards the perception of a “big-win”. 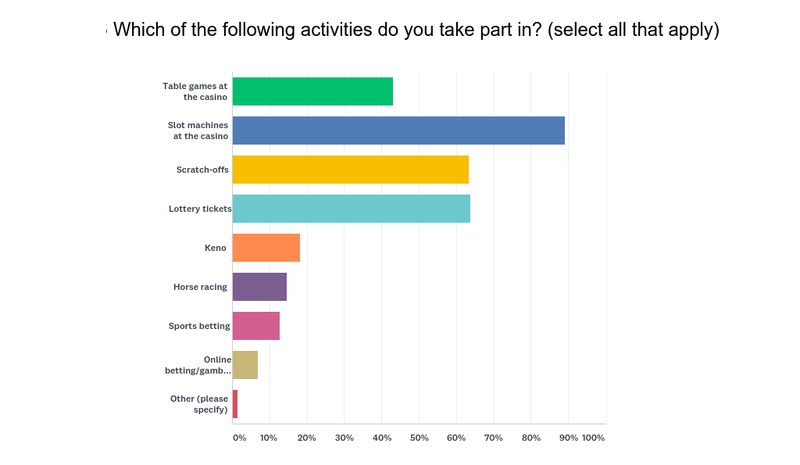 Our study shows that slot machines, scratch offs, and lottery tickets are the gambling activities we participate in most often. Maryland Live! Casino and Horseshoe Casino are the top visited casinos in Maryland. There were also some dedicated Marylanders that go and try to play for the big bucks out of state. For those who visit out of state casinos, Atlantic City and Las Vegas are the top destinations for gambling in the past year. Our proximity to Atlantic City makes it easier for Marylanders to take quick trips and hopefully win big. Almost 55% said that you take bets based on your gut feelings. Looks like most people are feeling lucky on the days they visit the casinos. Over 50% said they have a budget less than $100 and up to $250. 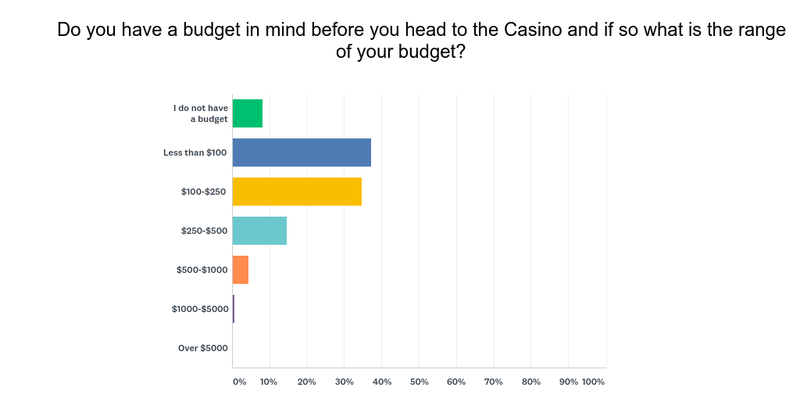 Only 8% of Marylanders said they do not have a budget when they walk into a casino. They are the true risk takers at the casino. This entry was posted on Wednesday, October 3rd, 2018 at 10:29 am. Both comments and pings are currently closed.